This is dangerous for the defence as Mosese Dawai bursts through to advance the Waikato attack. There wasn't enough power on that conversion attempt by Fletcher Smith as it drops short of the posts. Waikato are only a few metres out, surely they must score! And they do with Kylem O'Donnell touching down. The ball swings towards the posts but floats to the right, Fletcher Smith will have to re-adjust the radar. 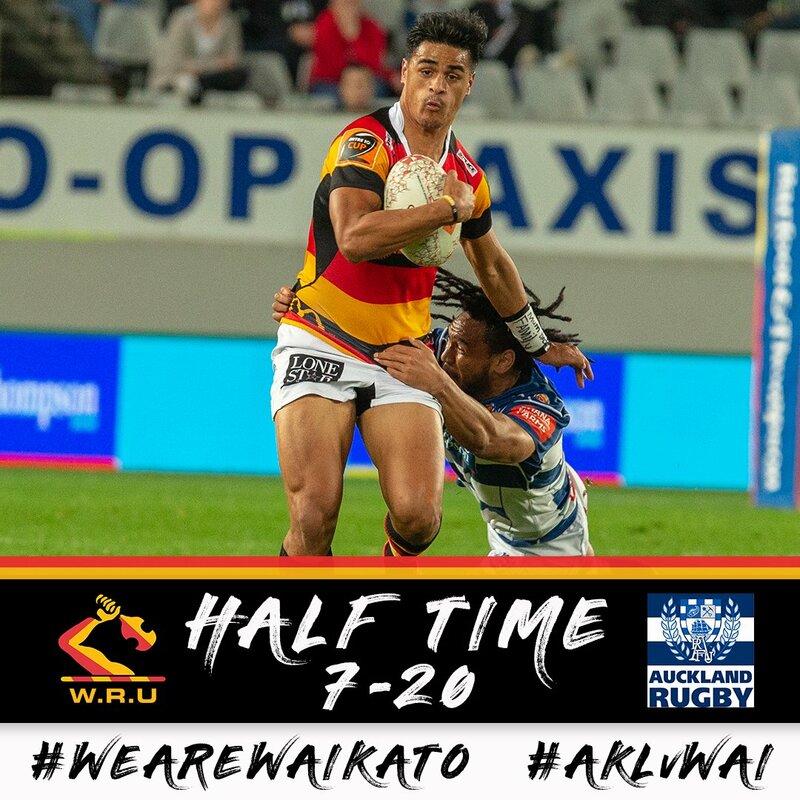 Great forward play by Waikato allows Samisoni Taukei'aho to score the try. Spellbinding play by Akira Ioane is finished off with a try. Caleb Clarke comes on for Auckland. Salesi Rayasi leaves the field. Jacob Umaga makes no mistake with that conversion attempt. A wonderful passing move by Auckland is finished off by Salesi Rayasi. The defensive line has been broken as Jarred Adams goes through the gap. Adam Burn has made 10 good tackles so far this game. Waikato decide to make a substitution, with Jono Armstrong getting some game time. 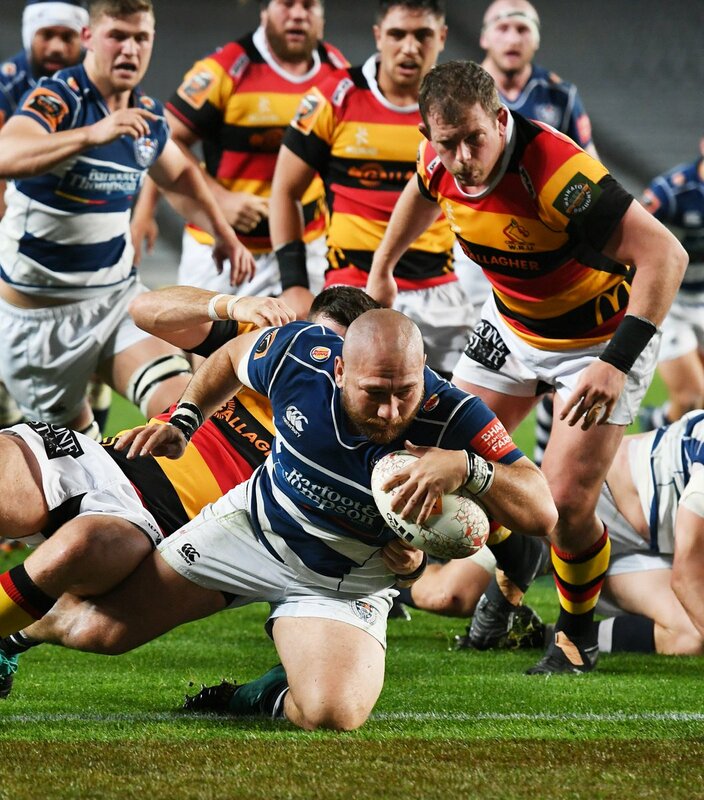 Waikato decide to make a substitution, with Jahrome Brown being replaced. Waikato make a substitution with Ayden Johnstone coming on. Waikato make a substitution with Toby Smith coming off. Harry Plummer hits the right post with the conversion, failing to add the two points. The kick through from Auckland has allowed Jordan Trainor to touch down. Auckland sub Jarred Adams comes onto the field. Sam Prattley departs for Auckland. Matthew Lansdown comes on for Waikato. Bailyn Sullivan leaves the field. 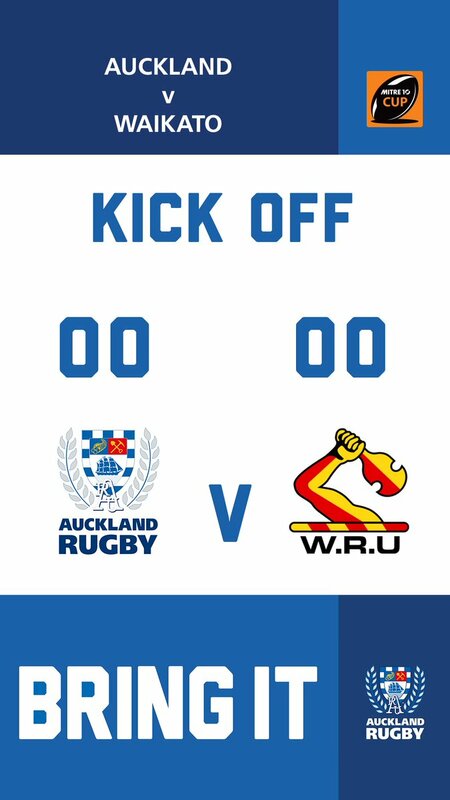 Waikato make a substitution with Kylem O'Donnell coming on. Waikato make a substitution with Jack Stratton coming off. Waikato sub James Tucker comes onto the field. Melani Nanai makes the break as the defence re-enacts the parting of the red sea. Samisoni Taukei'aho comes on for Waikato. Mike Mayhew leaves the field. 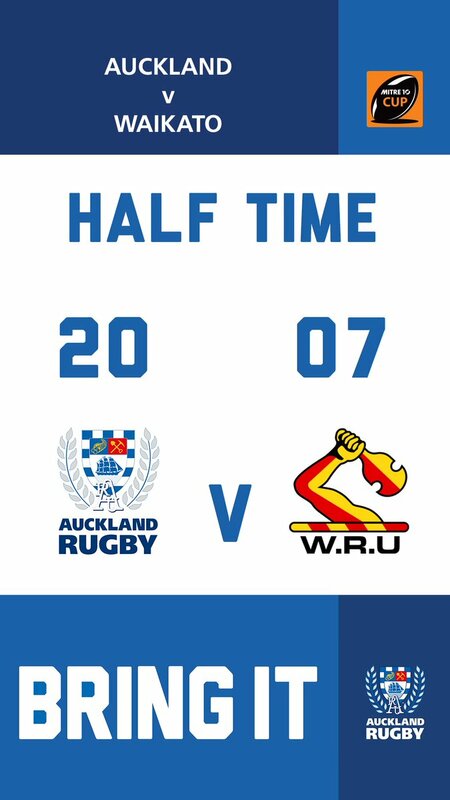 Fabulous play by Auckland has led to Robbie Abel being able to wriggle through a gap. Nobody could stop that maul! Robbie Abel places the ball down for the try. Harry Plummer curls the ball too far, missing the posts to the right. 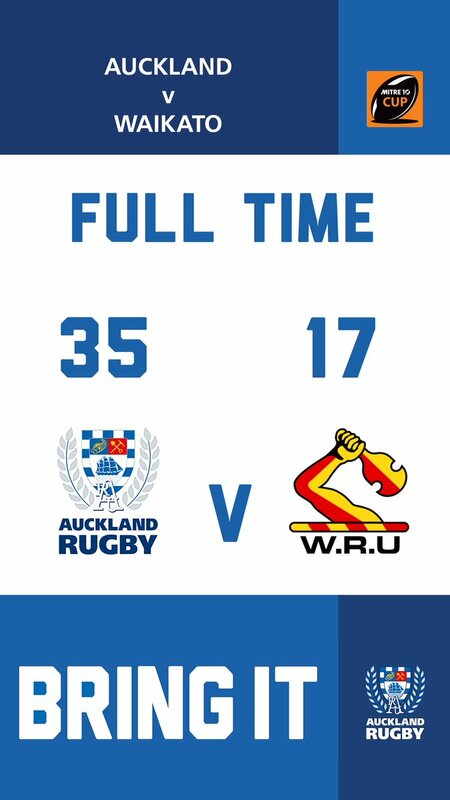 The Auckland pack has powered over for Robbie Abel to score the try. Harry Plummer has kicked a penalty goal. That's a great try assist by Jack Stratton. A series of passes by Waikato results in a try for Mosese Dawai. A gap opened in the defence and Mosese Dawai took full advantage. Tumua Manu sets up the try. Great hands by Auckland leads to a try for Jordan Trainor. 79' | Try for Waikato's No. 21 Kylem O'Donnell, goes unconverted. 72' | Try for Waikato's No. 16 Samisoni Taukei'aho, goes unconverted. 10' | TRY Auckland No. 15 Jordan Trainor! Try goes unconverted. Angus Ta'avao's journey to the black jersey hasn't been without its ups and downs.